Two men from Preston are among six charged following police raids this week targeting the supply of cannabis across the North West. Sandros Mane, 21, and Novrus Mane, 23, both of De Lacy Street were arrested after officers searched addresses in Preston, Heywood, Rochdale and Bury in Wednesday as part of Operation Houdini. They were charged with conspiracy to supply cannabis, conspiracy to produce cannabis and money laundering offences. 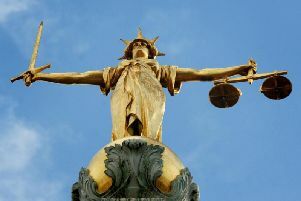 Alvges Mane, 44, and Elidon Allajbeu, 38, both of Promenade Street, Heywood, together with Eriseld Begaj, 25, and Algert Llambi, 25, both of Sussex Drive, Bury were also charged with the same offences. The men were all due to appear at Manchester Magistrates Court today. The arrests followed swoops by officers from Greater Manchester Police’s Serious Crime Division, supported by officers from Lancashire Police. Two other men, aged 35 and 36, who were arrested as part of the investigation, have been released under investigation.